Βαθμολόγησε αυτό το Άρθρο There are many horse games around today that are free to play, and here we will bring you a selection of the different kinds you can play. Here at Horse Plains we have a huge range of games for you to try, for a variety of budgets you can sample a lot of these games. But in this article we will be focussing on our free horse games. We will bring you a selection of the different things you can do and the variety of styles available. So let us begin by taking a look at one of the biggest and most played games in our stable. 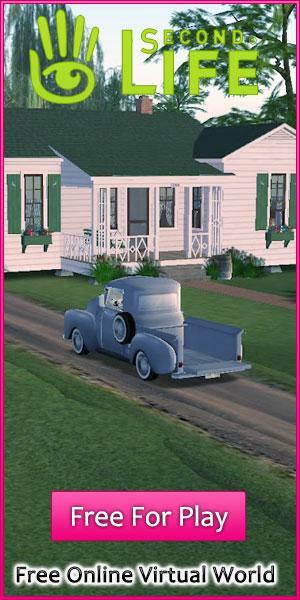 In Bella Sara you are able to enjoy a huge game full of other players, where each of you has your own house and stable. In that stable you can put one or more horses, many of which are magical and all of them are beautiful. There is a lovely world for you to explore and lots of fun activities for you and your horses to enjoy. With a unique style all of it’s own there is a wonderful feeling when you play this stunning game. Another popular place to be is Star Stable, a more realistic take on horses here will give you some real life breeds to play with and ride around. Go out for a run with friends or simply explore your surroundings from the back of some of the world's most amazing horse breeds. From huge shire horses to fast Arabic horses there are so many different ones you can own and ride it never stops being amazing. For something a little different try Roblox, a place where you can build your own world. Make anything you want come to life as your let your imagination run wild. You can make games for other people to play, full of horses or you can just make your own paradise. Any breed of horse can be yours, or make your own unique looking creatures and ride them around in this stunning world building game. Hooves Of Fire is a more traditional horse racing game, where you take ownership of a racing stable, and train your horses to win some of the biggest prizes around. You can pick the jockeys. Race tactics and equipment that you want to run with and compete against the game, and for bigger prizes other players all over the world. With a lot of players this is a really popular game, and on Facebook too so you can play with your friends. Riding Club Championships is a stunning horse showjumping game. Here you can ride beautiful horses in amazing 3D around a huge array of courses. From beginner to expert and everything in between. You can even create your own courses and share them with you friends too. With a leaderboard for the more competitive and lots of prizes to be won there is a lot of fun to be found in this stunning game. And so that brings our list of some of the most varied free horse games we have. Hopefully there is a game here that you love, or some inspiration for you to find a new place to ride. In either case we hope that you enjoy all of the games you find here and that you have a good ride whenever you play.